What are the Best Quiet Kettles That I Can Buy Today? What are the Best Anti-Vibration Pads for Washing Machines? Driving a Banshee: What is the Best Oil Additive for Noisy Lifters? How To Soundproof a Window: Is It High Time You Got Them? A few years ago, my occupation as an architect compelled me to make a move to Kansas City in Missouri. As a man who was born and raised in Manhattan, transferring to Missouri was a surprising — and welcome — change of pace for me. I’ve gone to the National WWI Museum and Memorial many times over. Don’t even get me started with the Tom’s Town Distilling Co.! As a lifelong Giants fan, I certainly could appreciate the passion with which the locals cheered their Chiefs on. I have nothing but love and respect for sports fans — except for when I am trying to get some rest or some work done. You see, Kansas City Chiefs fans are the loudest in the world. If you don’t believe me, let me give you this fun fact: they broke the Seattle Seahawks’ fans’ record of having the loudest outdoor stadium by creating 142.2 decibels worth of noise at Arrowhead Stadium during a Monday night game on September 29, 2014. To give you a clear idea of just how loud that is, consider these: standing on an aircraft carrier has a noise level of 140 decibels. Meanwhile, standing 30 feet from a jet at take-off has a noise level of 150 decibels. It’s THAT loud. And unfortunately, I live a few blocks away from all that bedlam. During gamedays, I couldn’t get any work done at all. It was worse if I my boss had me working on a specific design for a building that had a tight deadline. Then, I was screwed! I consulted the engineers at our office and they recommended I try soundproofing the rooms and those actually worked. Well, not entirely as some noise would still get to me through the windows. I did some research and found out that windows can be a weak spot in the overall process of soundproofing a room. It is common to notice that there is still some significant noise leakage coming from your exterior windows. Why? It’s because regular windows are not designed and made with the focus on maximum soundproofing. A lot of times, there are small gaps in the frame where noise can still seep through. Now imagine trying to work with all the ruckus coming from Arrowhead Stadium. Without soundproof windows, much of that noise can leak into my office space, compromising productivity and peace of mind. All these led me to a viable solution: I had to soundproof my windows. In this article, we will be talking about soundproof windows, what they are, their benefits and how to install them. Do Soundproof Windows Have Other Benefits Apart from Reducing Sound? Now one doesn’t need to be a sound engineer or expert to realize that the most significant function of a soundproof window is to of course, eliminate sound. However, not many realize that soundproof windows actually serve a number of other functions apart from just eliminating noise. Below are the three advantages soundproof windows can bring to your home. An overlooked feature of soundproof windows is that they also lessen the volume of dust, dirt, moisture and wind that can gather around your windows. This means less time having to clean them compared to normal windows. Why is this so? It’s because the windows are installed in the interior of your home, which means they are not exposed to elements from the outside. And since they are easy to remove compared to normal windows, they’re much easier to clean when the need arises. Since we figure window cleaning is not too high on your to-do list, we figure this is as important an advantage to mention as any when it comes to soundproof windows. Soundproof windows substantially reduce the amount of air infiltration into your home. These come from those pesky, easy-to-miss cracks that let out the cold air in the summer and the warm air in the winter. Next, they lessen convection, which is the act of energy transferring from one medium to another. When it comes to your household, the warm air in your home escaping through the windows into the cold air outside, thus raising the price of your heating bill. And finally, they diminish the amount of radiation, or the emission of unwanted solar heat into your home during the warm summer months. Wow, those are a lot of benefits to be had! You might be wondering what makes soundproof windows different from the normal ones. Read the section below and find out! Thicker Glass – Soundproof windows are usually made with thick panes of laminated glass, at times up to ¾” thick. In general, thicker glass can soundproof room better. In addition, window makers add a layer of PVB plastic in between panes to dull vibration. An inert gas such as argon or krypton is then inserted into the small space between the panes. The layer of gas makes for a buffer to further stifle incoming sound. Special Frames – Soundproof windows are normally used as an add-on to existing windows. An advantage to this set-up is that no new structural modifications or repairs are needed to fit the soundproof systems. The windows are designed with frames that are easily attached to track mounting systems. This allows continued access to the existing window, and makes for temporary removal if it is necessary. 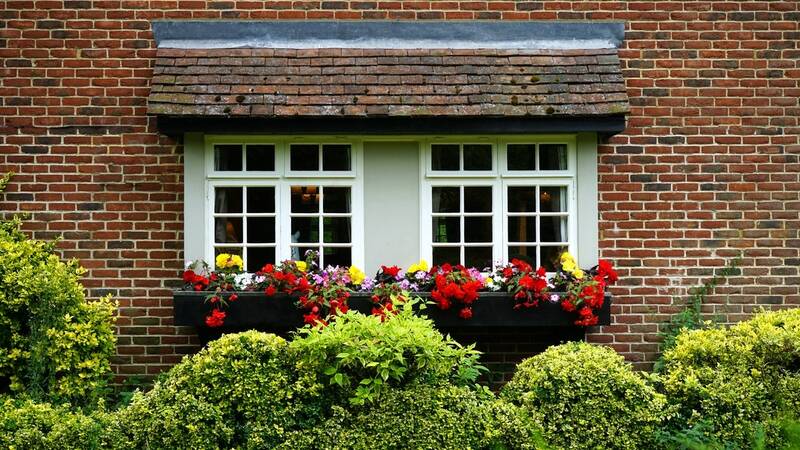 Soundproof windows also have spring loaded frames or mounting spacers. The springs place pressure to the existing window frame, thus creating a seal. This lowers vibrations, draft, and generates a dead zone of air that boosts sound dampening performance. Whether you reside or do business in an energetic city or suburban area, noise is as much a constant as death and taxes. And, as the population continues to increase, the spaces we live in are not only getting closer but also noisier. Adapting to the constant chorus of horns blaring, trains screeching, and dogs barking often needs a bit help to reduce the disruptive nature of these sounds that can have a serious impact on your health and quality of life. A common method to combat persistent external noise is the use of soundproofing products to diminish and even eradicate unwanted sound. However, a quick online search regarding soundproofing systems bring back a gazillion results, arguably leaving you more confused as to which ones are effective and which ones are not. So just how can you tell which product will work the best? Enter the STC Rating, a universal system for finding out what the soundproofing capabilities of a given product are. What Does STC Stand For? First of all, what is STC, and what does STC mean? STC stands for Sound Transmission Class and is a convenient tool for anyone who wants to determine how much sound a particular product can reduce and at which frequencies. In simple terms, an STC rating gives you an idea of how much sound a barrier, such as a window or door, can stop. The STC rating is the most used method for determining the sound reduction capabilities of a product and is therefore depended on by people who are in search for soundproofing products. Are you still scratching your head, asking yourself, “What is STC rating? And how does it work?” To dig deeper into STC and how this rating works, you first need to know how sound is measured and acquaint yourself with these three terms: frequency, decibel, and transmission loss. Frequency —The frequency of a sound measures the musical note or tone of the sound. The unit hertz (Hz) is used to measure frequency and is the number of soundwaves that pass by per second. A low frequency sound, such as a man’s deep voice, will contrast greatly with a high frequency sound, like the noise of a flute. Humans are only capable of registering frequencies between 20Hz and 20,000 Hz, and this range also changes as we age. Decibels (dB) — Decibels are the measurement of how loud something is. On the Sound Pressure Scale, “0dB” marking the threshold for audability, uncomfortably loud noises, such as those that cause pain and even injury to the ear, will clock in at around 130 dB. Transmission Loss — Transmission loss determines the volume difference (dB) on either side of barrier, such as a window or wall. For example, if someone sits one side of a wall watching television at a noise level of 100 dB, and you stand on the other side of the wall where the noise level is recorded at 75 dB, there exists a transmission loss of 25 dB. If you’re in the market for sound-resistant products, knowing how ratings are calculated for STC rated doors, windows and others can be helpful to more easily compare and identify options. In general, the higher the STC rating of a material or product, the more effective it is in reducing and blocking out sound at frequencies most commonly encountered on a daily basis. Now that you’re properly equipped with information regarding STC ratings and how soundproofing windows can help give you a tranquil space to live and work in, it’s time to find out how to soundproof a window! Continue reading below to get a fair idea on how to best go about doing this. A common annoyance for people like you and me in today’s world is noise pollution. And that’s not going to go away. Worse, it’s only going to get worse as the population increases and more spaces are filled by either people or buildings. And so, let us show you how to soundproof a window without wasting a lot of valuable resources and time to help you make a healthy and perhaps more importantly — quiet home. Blocking a window entirely will ensure you will get sound deadening windows. But before you do, you should first determine whether or not you can in fact, block that window in all its entirety. Blocking your windows will be a cinch. However, you must be aware that the moment you do, little or no light will get into the room. Additionally, blocking your windows can actually make the place warmer during the hot summer days. But if you really must, then the most effective way to go about it is to use insulation panels or even acoustic panels ( although they aren’t aesthetically pleasing). Although the best method is to cover the windows with a fiberglass noise-proof blanket although you have to dish out a few more dollars for these. The idea behind completely blocking your windows is that there should be no space or any gaps at all left. You will have to cut the insulation panels out to exactly fit your window space. You can use thick foam tape for any gaps that are left. You must be aware though, that insulation panels don’t really add style points to your room, but they are the most effective way of blocking out the noise. This can, however, be easily managed by using curtains over the windows. If you can spare a few more dollars on this soundproofing endeavor, then double-pane windows are something that you should consider installing. Double pane windows substantially lessen the amount of noise by as much as 60 %). Aside from dampening sound, double pane windows also excel at heat transmission, which means they will keep the room cool during warm weather and warmer during the cold season. This will, in fact, make your wallet very happy as it means you will end up saving on energy bills. If the cost of replacing your windows is too much for your budget right now, you can try this option as it is much cheaper. Adding an extra layer of acrylic over your window will lessen the volume of noise that passes through, which results in a more quiet room. For this, you will first have to set up a metal frame on your current window. Magnets are then utilized to connect the acrylic to the windows. You also have to make sure that you are making an air tight seal. Using acrylic won’t darken your room seeing as it is transparent. However, this method will not work for really loud noises. Soundproof curtains are not 100% effective but they do go a long way in dampening much of the noise that is coming from the outside. In addition, they add a certain level of sophistication to your room and is also useful in concealing any foam that you may have used on your windows. Soundproof curtains are great at diminishing the effect of echoes in a room, mainly because of the materials that they are made of, which instantly soak up any sounds inside the room. For optimal results, try getting curtains that will cover your entire window from top to bottom. Sound deadening curtains can also be used as blackout curtains as they are comprised of thick enough materials that are capable of blocking out sunlight, essentially letting you sleep late or sleep through the day without getting bothered by the rays of light. Similar to soundproof curtains, blinds will do their part in reducing the effect of echoes in your room. They will also give you an additional but minimal layer of sound blocking. If you are going to take up this option, I suggest you use those made of thick materials. However, blinds are not the best method to use simply because there will be still some gaps that can be easily be exploited. But if you don’t want to completely block out the noise then blinds would be an ideal option to consider as there would be some sunlight that would be allowed to seep through. What exactly is a soundproof window insert? It is just a simple frame that is geared to be airtight to your window space. It is sometimes called a window plug and is often comprised of foam or sponge. Soundproof window inserts are very convenient since you can just plug them in and take them away depending on the situation. For this reason, they are often considered as a so-called “band-aid” soundproofing answer. I for one use this method a lot. I place these in for the duration of the Chiefs game and when it ends, I just pull the plugs out. For tinier windows, you can make use of two inches of this soundproofed matting and acoustic foam to make the window plug. Making the plugs is easy. You simply need to cut the foam material around an inch bigger than the window. This will allow you to push the foam into the frame to make it fit snugly. If you are making a window plug for a much larger window (like say 3 feet wide or more) then you will have to initially make a frame that the foam will be on. When making a soundproof window plug, you have to measure the size of your window. For smaller windows, a frame may not be needed as the foam can easily stick into the window without popping out. However, it is better to use a frame regardless of the size of your window. By adding the external storm window, you will have another layer of acrylic or glass sheet, outside your window. It is likely that that will give you a double layer of defensive care with the interior acrylic, against the unwanted noise. The result will depend on the materials you purchase from the market for the job. If you buy cheap acrylic or glass sheet, or the glue is of poor quality, you will not have achieve the intended result. While soundproof windows cannot reduce the incoming noise to an absolute zero (it’s just not possible), they can lower noise in significant amounts, resulting in excellent sound blocking when STC ratings of 40 and above are achieved. Depending on your situation, they may very well be an investment that would pay dividends in terms of peace and tranquility in your abode. But if soundproof windows are just not possible right now, perhaps because of your budget, sound dampening a window will get you the peace of mind and efficiency when it comes to work flow. Shhilent is a participant in the Amazon Services LLC Associates Program, an affiliate advertising program designed to provide a means for sites to earn advertising fees by advertising and linking to amazon.com.